The nasojejunal tube passes through the trachea and the left mainstem bronchus and its tail projects over the left heart border. Decreased transparency in the left lower lung field due to dystelectasis. 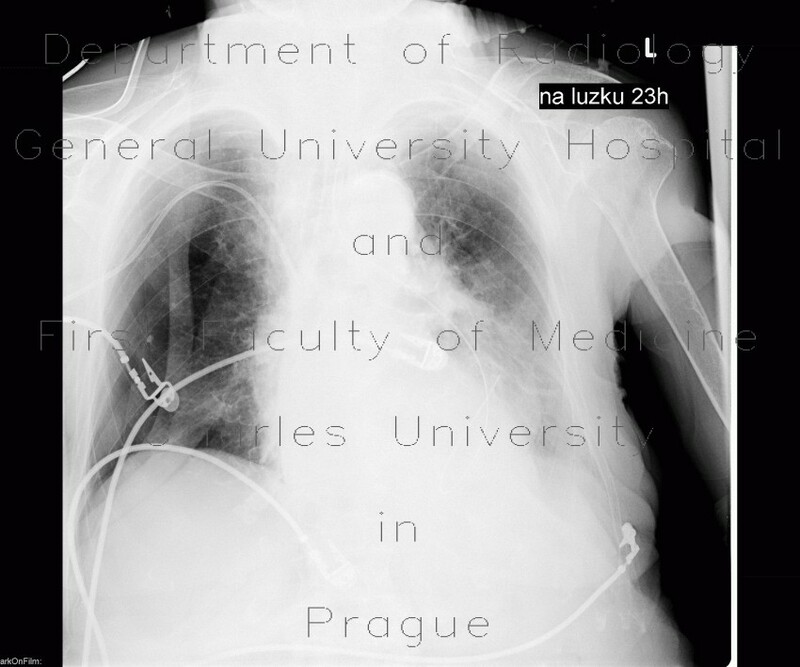 Right sided pneumothorax, right lung wing is collapsed towards the hilum. Correctly placed central venous line from the right subclavian vein.